"The Most Awesome Wife Ever! So says the subject line in the email reader Zenboy sent. 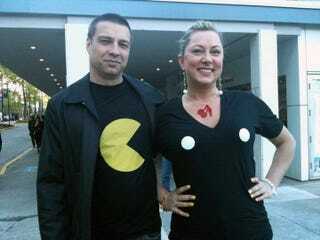 In the pic, he and his wife show off the clothes they wore to Video Games Live in Vancouver.